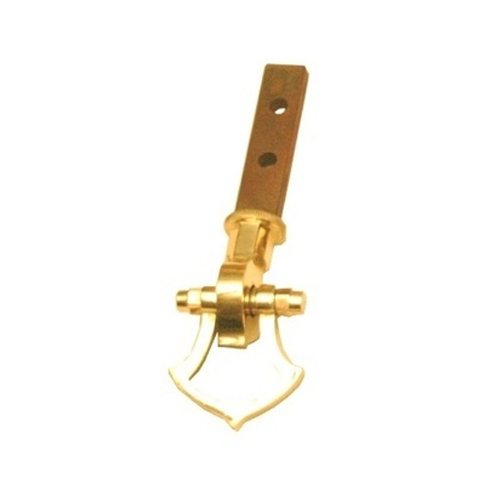 Incepted in the year 1984, at Jamnagar (Gujarat, India), we “Bharmal Hardware Products” are a Sole Proprietorship firm that is the distinguished manufacturer of high-quality and durable range of Brass Bracket, Tower Bolt, Brass Hinge, Brass Hook, Door Eye, Mirror Cap, Brass Screw, Brass Aldrop, etc. Offered assortment is immensely appreciated for features like durability, easy installation, perfect strength, sturdiness, corrosion resistance and flawless finish. Under the supervision of “Mr. Akbarali Taherali Bharmal" (Proprietor), we have gained a reputed name in this domain.